If you are thinking about buying a mask, you have some decisions to make. First, become familiar with the components of a mask, and then take these questions into consideration. Some of the answers are obvious, and others are personal preference. 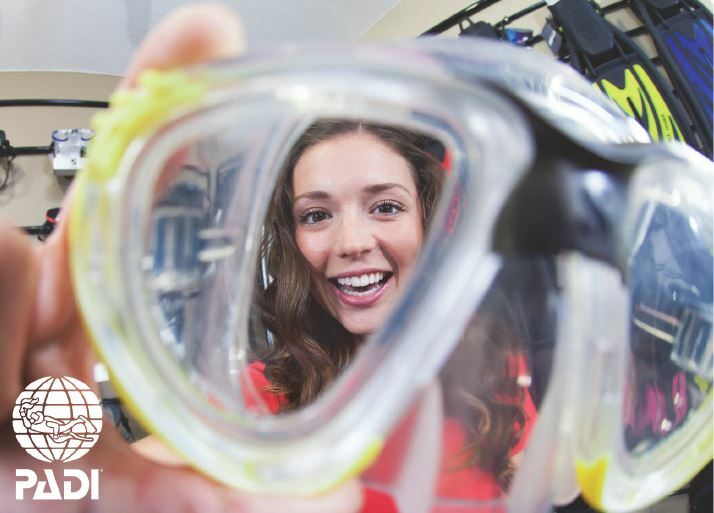 That’s why we’ve created this list of comparisons to help guide you when you’re buying your first mask for scuba diving. 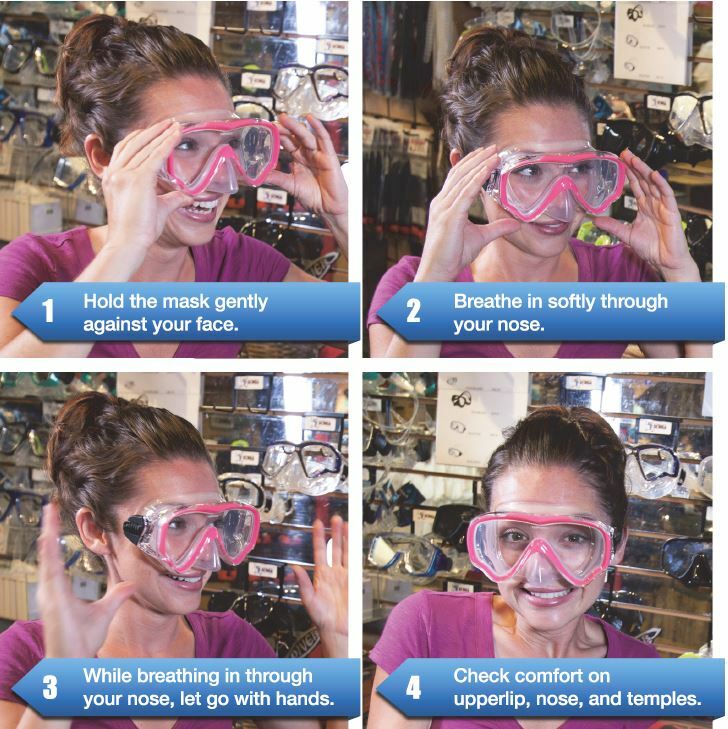 It is recommended that divers buy their own masks since a mask needs to fit your specific face. Renting a mask is a good option if you forget your mask or don’t have room to travel with one. In order for a mask to be suitable for diving, there are a few requirements. 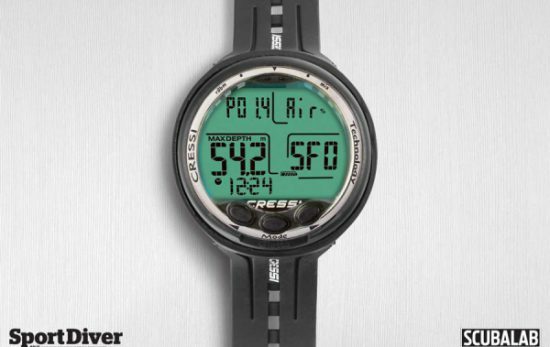 First, it needs to have strong tempered glass that can withstand the pressures of diving. Second, because the airspace in a diver’s mask will need to equalize upon descent, a mask for scuba divers needs to have a skirt that encloses the nose. 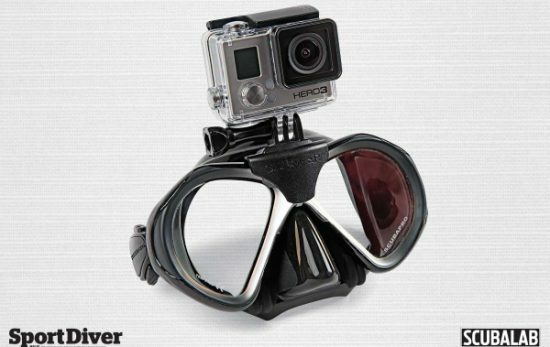 Most divers will find a neoprene mask strap more comfortable. If you don’t have hair or have problems with your strap slipping, silicon mask straps are the best option. Mask volume refers to the amount of air space inside the mask. High volume masks offer a feeling of openness and extend peripheral vision. However, they take a little more effort to clear. Low volume or low-profile masks sit closer to your face and can be quickly cleared of water. Scrub the interior lense of your mask after purchase with toothpaste or a non-abrasive cleaner to prevent unwanted fogging. Over-tightening a mask will cause mask leakage. Bugs eat silicone, make sure to store your mask in a plastic mask box. Consider prescription lenses or optical inserts if you normally wear prescription glasses. Rinse your mask thoroughly with fresh water after each use. Keep out of direct sunlight as much as possible. Now that you have compared these different options, you’re ready to buy a mask that best suits your needs.